I agreed to create a recipe and write a blog post about my personal connection with breast cancer about a month ago. However, I’m torn as I write this post, and am not writing the same thoughts as I originally intended to share. My compensation for this post will be donated to the National Breast Cancer Foundation in loving memory of my Grandmother, who passed away this weekend after suffering a major stroke. She was a 2 time Breast Cancer survivor, a mother to 12 children, and grandmother to so, so many. She grew up in Wisconsin and raised a wonderful family that I am thankful to be a part of. 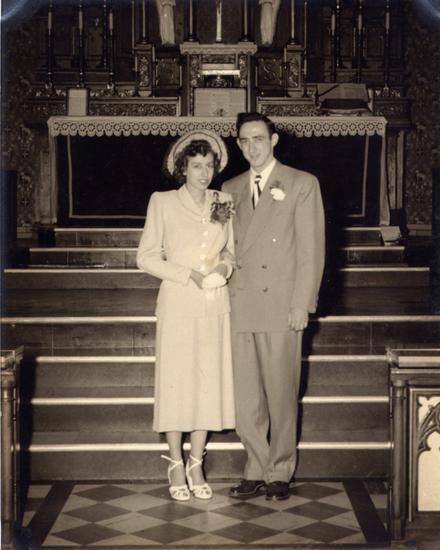 My mother, Grandma’s 3rd oldest child, wrote a loving memoir on her blog. My sister, the 3rd oldest grandchild if I’m doing my math right, wrote a gorgeous tribute to our grandparents that had my eyes welling up as I laughed out loud at the childhood memories her writing conjured up. Grandma survived Breast Cancer. Twice. She was a tiny woman who was stronger than you could possibly imagine. She loved her family–loved to talk about her family. I didn’t get to see her as much as I would have liked to over the years, but always looked forward to stopping in and catching up–and getting a long, long hug–whenever I was in town. She gave great hugs. If you can, please consider donating. The National Breast Cancer Foundation funds mammograms for low-income women who might otherwise not be able to afford Breast Cancer screening. 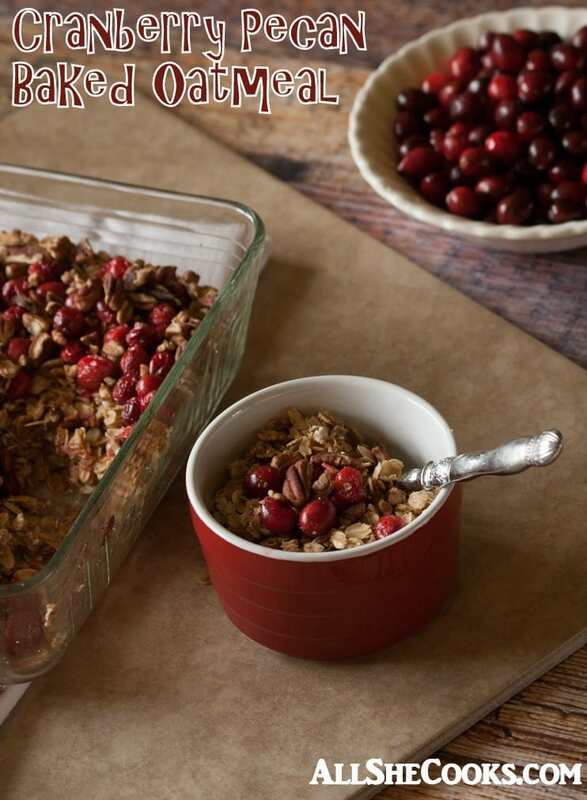 In the spirit of Breast Cancer awareness, I wanted to create a healthy recipe with cranberries, which are filled with nutrients and are know to fight off certain ailments. They also have anti-cancer properties when eaten in food form–so I say, ‘eat more cranberries’. As I often do, I shopped for my ingredients for this recipe at Pick ‘n Save. I can always find fresh produce and a nice selection to choose from… and its right down the street. Really can’t go wrong with all that. This recipe is easy to make, and its pure comfort food. That’s how oatmeal is. Kind of like macaroni and cheese. It’s just one of those things. Oats, brown sugar, some butter…just a bit, and then some scrumptious toppings. I used cranberries and pecans this time, but you could also use blueberries. 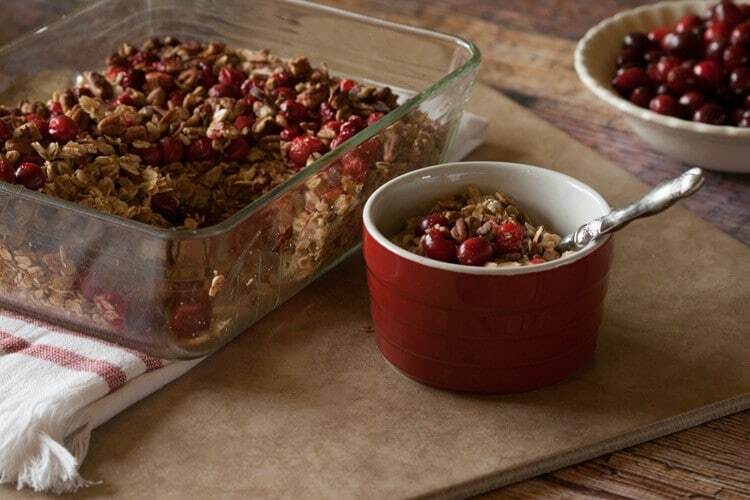 A dish of Cranberry Pecan Baked Oatmeal in the morning with a drizzle of milk or cream would be my ideal breakfast. It’s also really low-key, so you don’t have to put a lot of energy into making it. It’s really as easy as 1-2-3. Melt the butter, measure out the oats and brown sugar and mix them all together, put some toppings on and throw it in the oven. See? Easy. Sometimes you just need a little bit of comfort. Melt butter. Mix together oats, butter and brown sugar. Top with cranberries and pecas. Bake at 350 for 30 minutes. Serve. So sorry for your loss. 12 children? Your grandma was a superstar! This breakfast looks delicious! 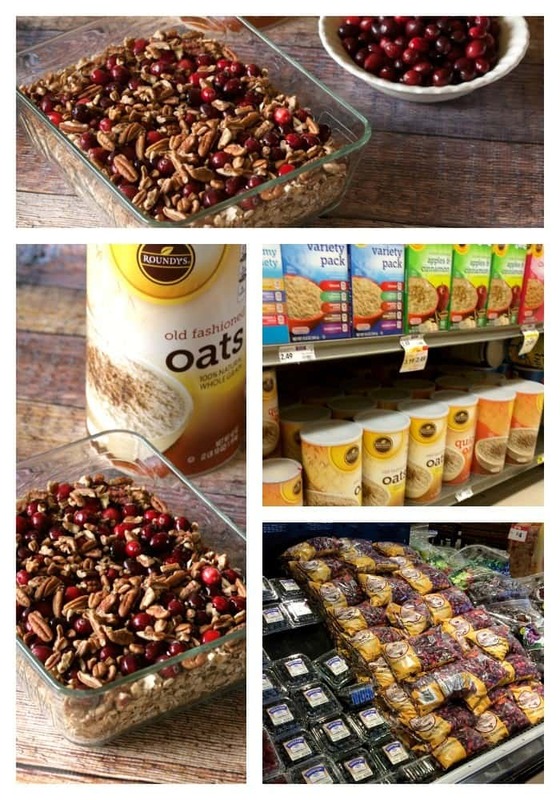 Pecans are a fab addition. wonderful memories Jessica – grandma asked about you and the kids all the time – we went through the photo albums today and I found a ton of photos of the kids and some of you too! No, except for the butter that’s melted. 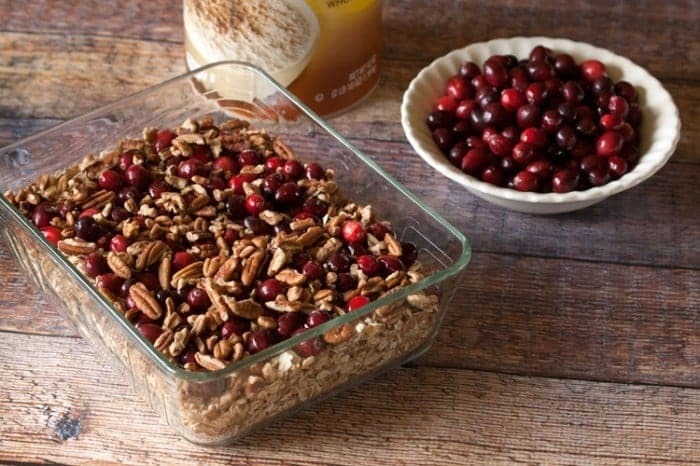 Think of granola, but not as dry. I normally will add a little milk or yogurt to it. Thank you so much Janelle. Very sweet of you.